Scott Kraft serves as Chief Executive Officer of Kraft Consultants and helps clients optimize their marketing investments and create lasting business value. Kraft served as an Executive Vice President of Marketing of Six Apart Ltd. He has over 20 years experience developing strategies and campaigns for leading brands such as Vodafone, Citigroup, Viacom, Nike, General Electric, NewsCorp, IAC, Microsoft, and SBC. He served as Global Vice President of Branding and Advertising at Sun Microsystems. He served as Principal in branding and strategic marketing consultancies of Nicholson NY and was its Executive Vice President of Interpublic agency. He created many groundbreaking marketing campaigns including an one of the world’s most recognized integrated e-culture advertising campaign for IBM. He also served as Chief Executive Officer of Gadfly Inc. and Managing Partner of Sterling Group. He serves as Member of board of advisor at buySAFE, Inc. He served as Director of Buysafe Inc.
Kraft is an award-winning expert in branding and marketing. 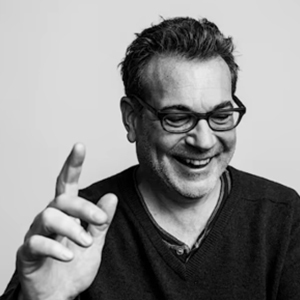 His work has been awarded the top honors in the marketing and advertising industry, including the Cannes Lions Grand Prix, the Grand Clio, and the AdClub’s Golden Pencil.